Sarah Fraser is Co-CEO of Instinct Dog Training, Inc. and Co-Founder of Instinct Dog Behavior & Training. She oversees behavior & training programming for all Instinct locations and for the Instinct Online School. She develops Instinct Inc.’s internal policies and guidelines related to training and operations, and is in charge of marketing, communications, and brand management. Sarah is an MA Candidate, Animal Behavior & Conservation at Hunter College/CUNY. 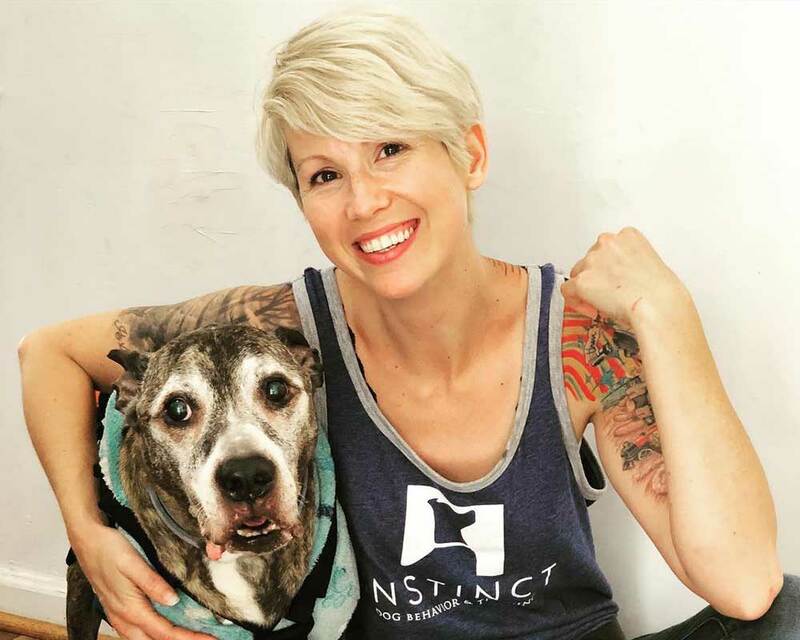 She is a Certified Dog Behavior Consultant, Certified Professional Dog Trainer, and Karen Pryor Academy Certified Training Partner, who has worked with hundreds of NYC owners and dogs with severe aggression, fear, and anxiety issues. She has been featured as a dog behavior expert in media outlets including The New York Times, The New York Daily News, New York Magazine, Martha Stewart, NBC Nightly News with Lester Hold, Pix11 News, and many more. Sarah lives in NYC with Co-Founder Brian Burton and their 4 rescue Helper Dogs, Mozeez and Will (pit bull mixes) and Jacky and Joey (Rat Terrier mixes).